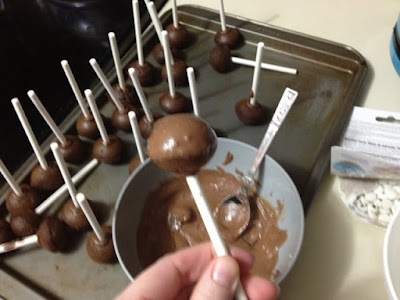 Positively Miscellaneous: Making Cake Pops! For my birthday my friend, Lydia, got me this little cake pop/donut hole maker! 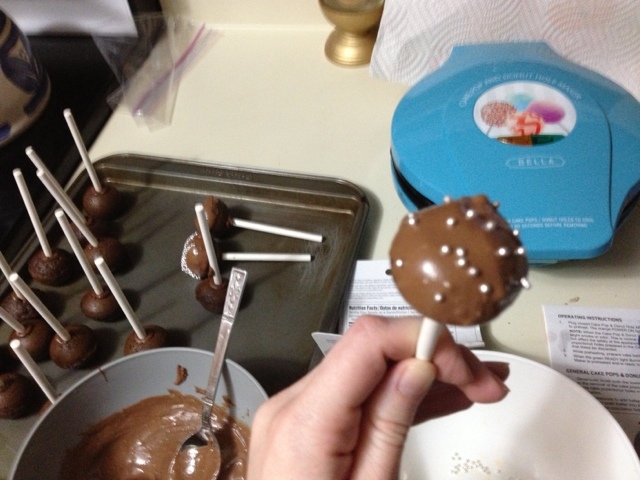 I was so excited because I've found so many things I want to try involving cake pops! Third batch! 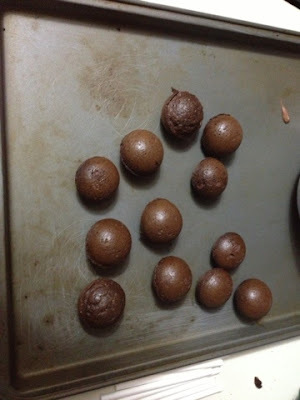 A little better and some were more round. I wonder if they do need to be closer to half full? 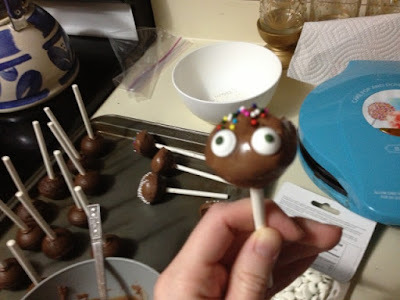 For this event, I bought a little cake pop decorating kit. 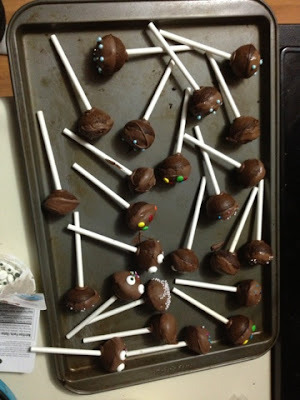 It contained sticks (which I promptly broke in half because they were stupidly long), sprinkles and different candy melts. 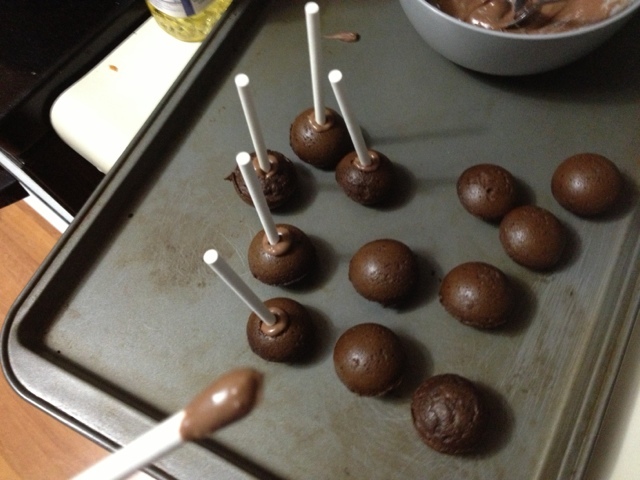 I melted some of the melts and dipped the sticks in before inserting them in the cake pops. 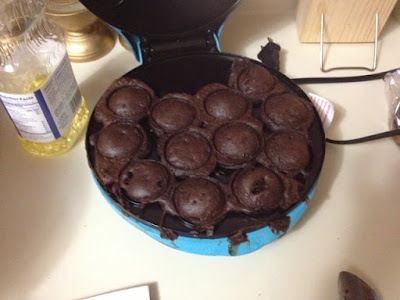 This is supposed to help them stay attached. 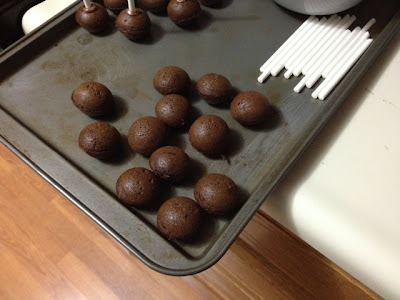 Then I chilled them for a while. 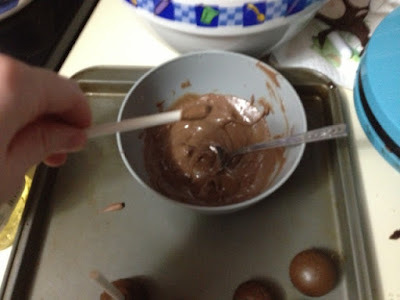 Instead of frosting I used candy melts to coat them. Then I decorated them! 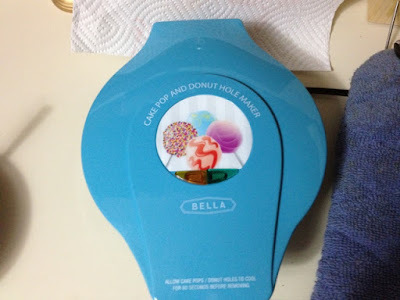 And I found these cute eyeball sprinkles that I just had to use! And to top everything off: they were delicious! 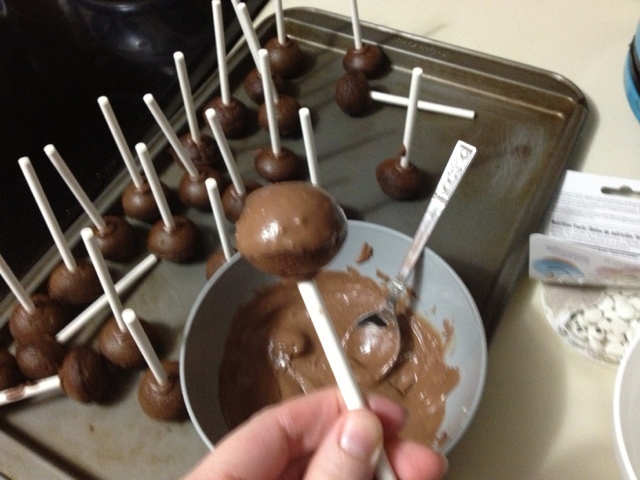 :) I am so excited to experiment more with cake pops!